Pheonix reach their Kickstarter goal: Android apps will come to the HP Touchpad! 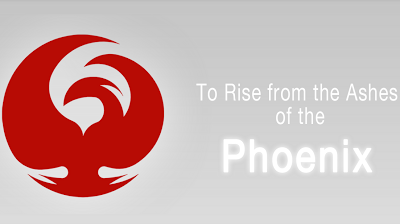 You might remember the guys over at Pheonix International Communications or PIC if you're a long time follow of this blog. They;ve been involved in a fair few projects centred on WebOS, for example they're working on bringing the platform to Android and we covered the groups original intentions way back in June of last year when they started their projects. In recent weeks though the focus has switched to getting Android apps running on the HP Touchpad courtesy of a joint project between PIC and OpenMobile which would see the former help the latter bring Android app support to the HP Touchpad! That means that to all intents and purposes the HP Touchpad has access to all of the Android apps that you could possibly want. The only problem is that this sort of software development was and is expensive and intricate, which is why PIC turned to Kickstarter a few weeks back to secure the funding to get the project over the line. This weekend the guys made it to their $35,000 target and as of today the project has attracted nearly $37,000 worth of support. All of the money raised on top of the $35,000 is set to go towards the future of the App Compatibility Layer (ACL) for WebOS devices and the hope is that the Android 2.3 back-end which is used at the moment can be updated to Android 4.x and that ACL can be fitted onto the HP Pre 3 in future. Now everything's done and dusted with the Kickstarter project the only thing left is for PIC and OpenMobile to deliver on their estimated release date of July this year! That's the only problem with Kickstarter there's no guarantee anything will definitely come from it, fingers crossed this time these guys can deliver!